The US Mega Millions has managed to pass the $1 billion threshold for the second time in the history of the lottery. On October 23rd, 2018, the first prize reached a whopping $1.53 billion, just shy of setting a new world jackpot record. People from all over the world wanted a chance to win this ground-breaking prize. After one of the most intense lottery draws ever, the Mega Millions jackpot was eventually won by a single ticket, which was purchased in South Carolina. The holder of the ticket is now the biggest lottery winner, as this prize has broken the record held by Powerball winner Mavis Wanczyk, who won $758 million back in 2017. After over four months of eager anticipation, the South Carolina jackpot winner finally came forward to claim the prize and chose to stay anonymous. Luckily for him or her, South Carolina is one of the few American states where lottery winners are allowed to keep their identities private. The ticket-holder chose the cash payout for this tremendous prize, which nets $878 million, before taxes. This jaw-dropping jackpot created a real frenzy back in 2012. No other lottery had reached so far! Nobody had dared dream so high! Even if the record was already broken by Powerball with its $1.58 billion jackpot in January 2016, the $656 million prize Mega Millions displayed in March 2012 remains a milestone in the history of the lottery. What happened to this awesome prize? 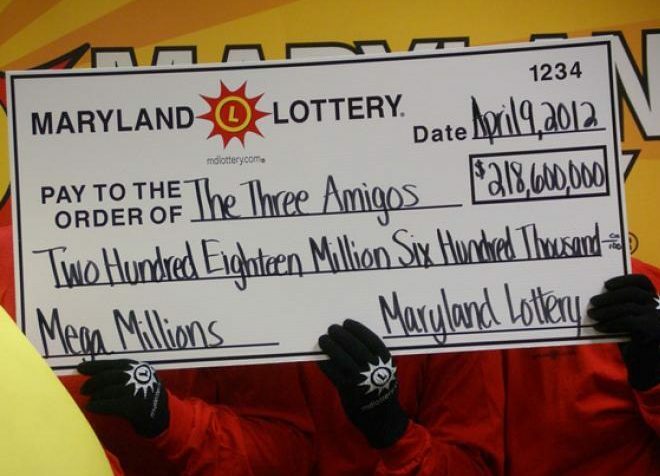 It was won on 3 tickets: one sold in Maryland and whose owners were a lottery syndicate of three members, aka “The Three Amigos”; another ticket purchased in Illinois by a couple of retirees – Merle and Patricia Butler; and a third on claimed in Kansas by an anonymous player. One year after setting the former world record for the highest jackpot, Mega Millions was creating again a momentum. As the holidays season was getting closer, the jackpot was getting bigger and bigger. Everyone was expecting the US lottery to break its own record, but two lucky ticket owners stopped the rollover streak, matching the winning numbers 8, 14, 17, 20, 39 and Mega Ball 7.
Who were those lucky players? One of them is Steve Tran from California. He had purchased his Mega Millions ticket while on a family trip to San José, and forgot about it until he saw on the news that one of the big jackpot winners is from his city. After checking the numbers, he smiled, hugged his wife and sent a message to his boss: I’m really sorry, boss. I hit the jackpot. I don’t think I’m going to come in today, tomorrow — or ever.” The second ticket belonged to Ira Curry – a 56-year-old woman from Stone Mountain, Georgia. She came to claim his prize together with her extended family. 2018 appears to be a very lucky year for the Mega Millions lottery. On July 24th, 2018, the American lottery has awarded its third Hall of Fame jackpot this year. 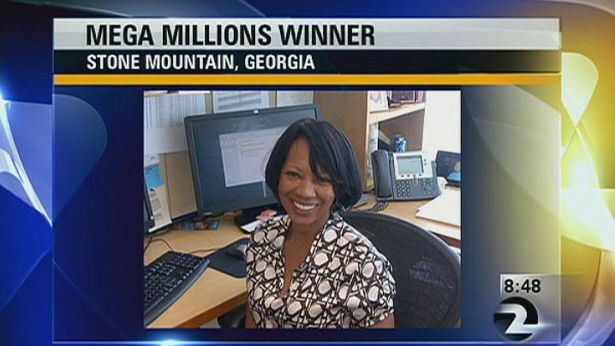 A lucky syndicate of 11 co-workers from California has scooped a huge prize worth $543 million. The first prize was initially estimated at $522 million, but then, the amount was increased to $543 million due to the massive ticket sales. The cash payment for the 4th largest Mega Million jackpot was set at $320.5 million. Ronald Reyes has come forward to collect the prize on behalf of the entire group. He said that they would like to continue working together even after this big win. We want to keep our jobs. We love that company. We love what we’ve built there. We have a good time and want to stay together.” It remains to be seen how their post-jackpot life will go, but with $543 million, they are bound to do some great things. The draw of July 2016 brought yet another high jackpot. This life-changing amount was scooped by the Waters family in Indiana. They had purchased 5 tickets while driving to a sports camp with their kids. This is why everybody should play the Mega Millions lottery. The second jackpot of 2018 got to no. 6 on our Mega Millions jackpot Hall of Fame and it was won in Riverdale, New Jersey. There was a single winning ticket for the $533 million prize and it was purchased in a Lukoil station. The lucky winner is Richard Wahl, 47. It was his second time playing the Mega Millions and he bought his tickets on an impulse. When he checked his numbers, he did not realize he had matched the Mega Ball as well, so he initially thought he had won $1 million. When he realized just how much money he had won, Richard told his wife they were finally going on vacation. The Wahls are thrilled with their enormous win and they believe that it was God’s plan for them to become jackpot winners as Richard played with a Quick Pick ticket. On the second draw of 2018, the Mega Millions lottery has caused a world-wide frenzy with its $450 million jackpot. This fabulous prize was won by 20-year-old Shane Missler from Florida, who decided to take the cash payment on his prize worth $281.8 million. The Mega Millions got a head start in the lotto world this year, so get ready for the amazing prizes coming up in 2018! The New Life syndicate from Long Island scooped a huge $437 million on the very first day of 2019. If that is only the beginning, then 2019 is bound to be a legendary year for the 23 co-workers. They played the lottery together week after week and it eventually made them millionaires. They each put in one dollar in an envelope and then use the all the money for lottery tickets. The Long Island syndicate chose not to go public and to continue working together because they feel like part of a family. Back in 2014, Mega Millions was making eyebrows rise as the jackpot was getting bigger and bigger. The $414 million prize was split among two tickets owners: one from Maryland, who decided not to reveal his identity, and a syndicate from Florida, known as the Cobie and Seamus Trust. The Mega Millions made lottery history in August 2017 with a huge first prize worth $393 million. This fabulous amount was won by a single lottery player, Patricia Busking from suburban Chicago on August 11th and it was applauded by Mega Millions fans everywhere.